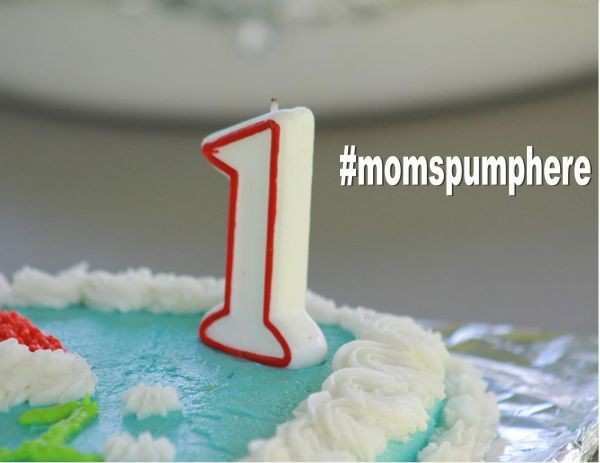 Clever Ways to Celebrate Your Baby's First Birthday! As moms, we celebrate many milestones with our babies. One of those milestones is your baby’s first birthday. Here are some cute and clever ways to celebrate your baby’s big first! Throw a big party. Many families where I live plan elaborate celebrations for their baby’s first birthday parties. I’m talking about renting out part of a restaurant, hiring a petting zoo, or putting up a giant tent in their yard. These parties are a wonderful way for the extended family to come together and honor your baby’s first year. Throw a tiny party. Tiny parties are just as fun to a baby as a big party. You, your partner, and your baby can have a special meal at home and watch your baby blow out candles on a cupcake. Being together on the special day is what matters more than how many people spent it with your baby. Plant Something Special. Some families choose to bring a plant into their garden to observe their children’s birthdays. I know a family who has different colored hydrangea plants in their yard – each one commemorating a different child’s birthday. This is especially fun when the plants flower at different times of the year and could even be different colors – the children grow up to enjoy the gift every year. Take a Trip. Maybe you traveled a lot before having children and you want to share that “Travel Bug” with your little one. Many international resorts have amenities geared towards children and infants, and it’s a great way to expose your baby to the wonders of traveling the world. Prepare a Keepsake. Stepping stones, ornaments, or memory books are great ways to mark the baby’s first year. Capturing the baby’s handprint at a specific point in time is a fantastic visual as your baby grows. You can prepare a stepping stone for each child and put them in your garden for all your visitors to enjoy. Try Something New. Many new experiences come when a baby reaches the 12-month-mark. Pediatricians recommend waiting until the age of 1 year to try certain foods, for example, and some day care centers move the baby from the “infant” room to the “toddler room” at this age. Why not carry it through and honor the transition? Perhaps taking a train for the first time, bringing your baby to a new park, or visiting a new museum could be fun. Notice I’m not talking about buying your baby gifts. If your babies are like mine, they won’t care at all about the presents that are purchased and wrapped for them on this day. While buying the biggest and newest toy for your little one is very tempting, please remember you’re making memories with your baby and they’re much more likely to remember your face and your smile when they look at you than what gifts you gave them on their first birthday celebration.